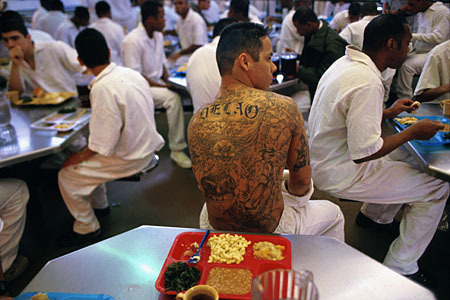 I have also found out that Canadians have decided open legal tattoo parlors in some prisons. I personally think its an excellent idea. As this reduces the risk of transmitting desease. They would tattoo themselves anyway. So why not providing them with professional equipment. As mentioned in the article, it would allow prisoners to retouch or change their tattoos before leaving jail. I think this could become a whole new school of tattoo artists with real life stories. It would probably also allow prisoners to get job they love when leaving prisons. I have always seen art as a kind of therapy. so why not tattoo? Read the article Also, if you have made tattoos in prison, please send me some pics and their stories. As these would prove very interesting for people in general and for my research. Peace! Keep it real!